I thought one of the tracks on The Rocket Swing could do with some harmonica. I had it all figured out in my head, picked the harmonica in the appropriate key and started practicing. 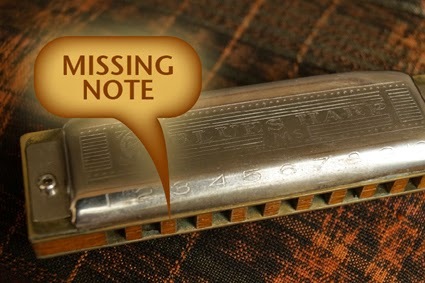 It sounded real good except for one note that was missing on that particular blues harp. I tried others and some did have that specific note but missed most of the others. How frustrating! I know I should be able to “bend a note” like real harmonica players can, but I could not get it right. Somewhat disappointed I then tried harmonica on another song and this time it really worked well, so I recorded that and sent the recording to Canada. It will probably make it to the album. To deal with future harmonica problems, I ordered one of those chromatic ones with a slide. That should have all the notes I want to play. Maybe the postman will bring it tomorrow.